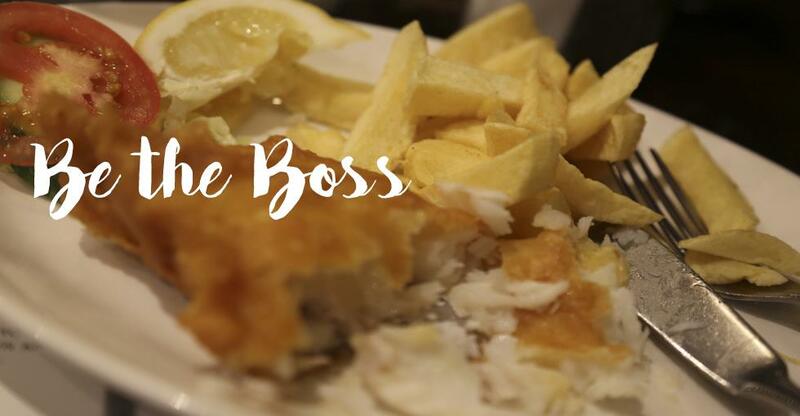 We spoke with brothers George and Costas about running their award-winning fish and chip shop Toffs. Together George and Costas run fish and chip shop Toff's of Muswell Hill. After managing a franchise pizza restaurant George decided to go it alone but roped in his brother to work alongside him. Here, they talk about the challenges of running a fish business and why their working partnership is so important. What did you do before, and how did you end up running Toff's? George: I was a Pizza Express franchisee but I used to eat at Toff's every Friday. When Pizza Express became a PLC and bought up the franchises they gave us a condition of our severance pay that we couldn’t serve pizza in the same area. By coincidence, the founders of Toff's retired and it was a no-brainer really. I knew nothing about fish and chips so I asked the previous owner for help. He said I’d need help because it’s a physical job – so I bought my brother in. Between us we had to learn from scratch but ‘Mr Toffs’ gave us recipes and training and all we needed. We are indebted to him. What are the key elements of running a successful fish and chip business? G: We buy fresh good quality product and we prepare it with experienced personnel and good cooking practices. Attention to detail is important. You must establish regular customers. A subtle way is to greet people with 'hello' and 'how are you'. We want our customers to leave as friends. This is what differentiates us from other restaurants looking for passing trade. You also need good team morale. We have a lot of family working in the shop but other staff become family members too. This helps because you give the image of a group of people who get on and have a good time. What are the challenges of running a successful fish and chip business? G: It’s really hard because you have to keep standards high. It’s also unsociable hours, you have to work Friday and Saturday night when other people are enjoying themselves. But if you’re a sociable person you should get the same buzz we get, seeing customers enjoying themselves. It’s not as profitable as other food industries (pizza for example), the profit margins are small. Fish is expensive so the margins are less. There are always problems, personnel, rising rents. Making the rent is a big challenge. I break it down daily to achieve basic overheads. Environmental health restrictions are also a concern; to get 5 stars you have to do a lot of admin and my staff have done courses. You also have to be very hands-on – we serve, we cook, we clean. G: I’m a people person – my favourite aspect of the job is the interaction with people, whether it's staff or customers. I did an office job for years and now realise I wasn’t very happy in that environment. What are the differences between running a franchise and your own restaurant? G: With a franchise, you always have the safety net of the brand and the support of the franchise head office. When you're independent the buck stops with you, but fortunately there’s two of us so we try to bounce ideas and tackle problems together. How has technology changed the business? G: Social media, Facebook, Twitter, all of this is becoming more important. A bad review on social media can be very damaging. We still have telephone orders and email but we also take orders through Twitter and Facebook. But it is anti-social, as we have to be on our phones to check for new orders. However, ordering stock is now easier as I text my fish supplier in Grimsby and I have a record of my order. How do you manage to work with your brother? G: You’ve got to get on. We have good communication and we also socialise together so we’re always communicating. C: We’re 18 months apart so a bit like twins – we know what each other is thinking. We both have a few idiosyncrasies – but that shows personality! G: My brother does all the buying and I do all the paying – so I cross check. C: We’ve had our ups and downs but the beauty of it is that we’ve lasted 18 years. It’s a formula that I think works. The best thing about him (George) is his knowledge and sense of humour. I’m the 'Mr Fix It'. What’s your advice for anyone thinking of opening a fish and chip shop? G: Go in with your eyes wide open. Work in a shop for 6 months to see if you like it; you have to experience the long hours. Check out all the regulations as you will need admin support. Go in with a partner and have a partnership agreement where you outline your responsibilities. C: We’ve thought about expanding but it’s a lot of work. It would take compromise and we’d have to simplify what we offer. I believe in quality, quality, quality, and I want to be unique. You also need quality of life. G: Sometimes it’s better to have one successful business rather than two which only make a bit more money.